Constipation and sluggish bowel function is very common during pregnancy and after giving birth. This recipe for a homemade digestive remedy is perfect for when you want to get things moving. It’s also yummy, breastfeeding friendly and extremely easy to make. 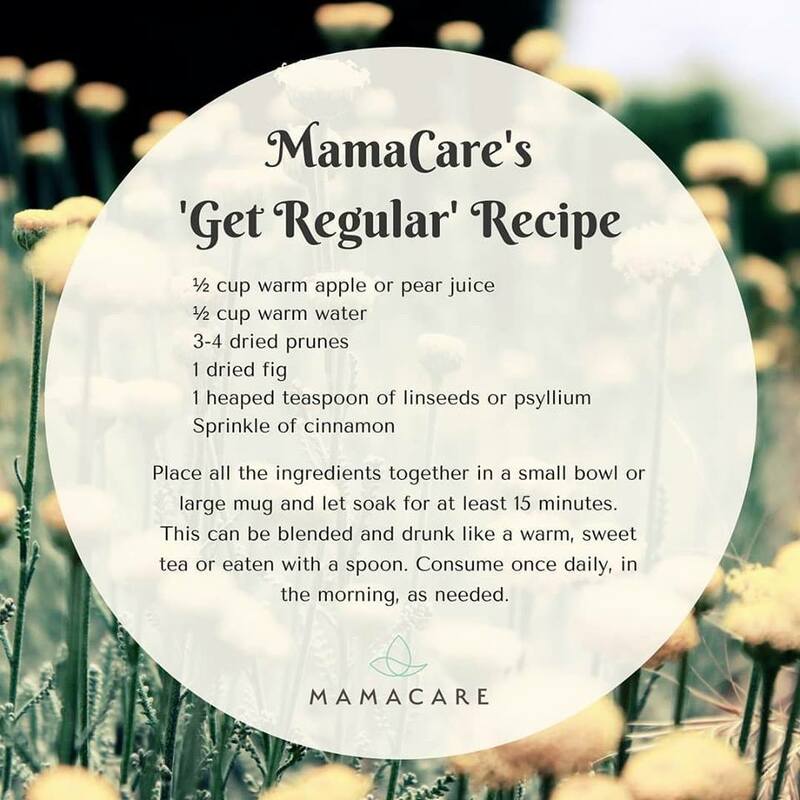 MamaCare’s resource book has a number of tried and tested recipes and remedies for you to use, both before and after giving birth. For more information on any of these, contact us directly to see how we can best support you.